This is a very wee subclass of cairns, those made with unnatural food products. 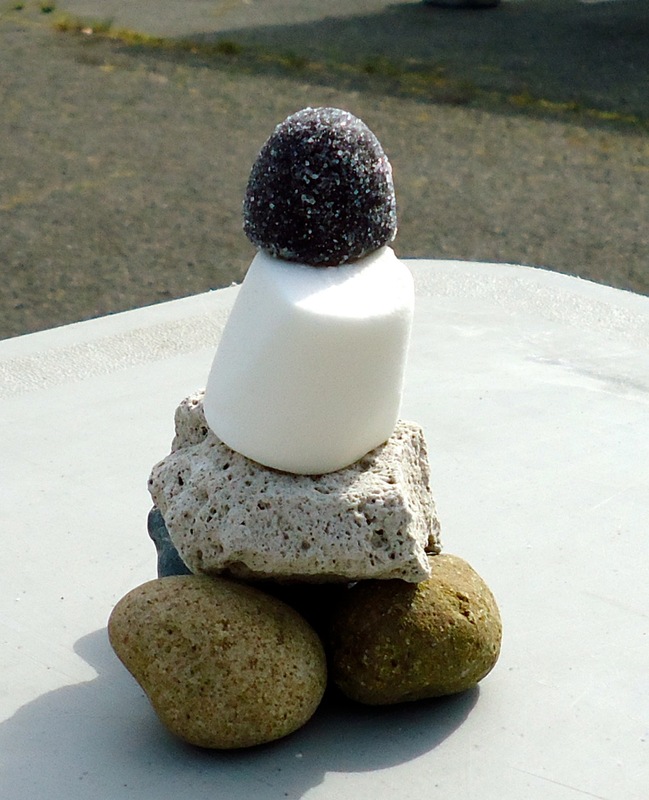 And yet, I think this is quite the ur-cairn, with its classic styling, jaunty tilt to the marshmallow, and carefully placed pumice piece, all capped by a handsome gumdrop. It also illustrates how using a variety of different materials can enhance one’s cairn and make it more noticeable on the trail, not that I recommend using marshmallows in the backcountry, unless, of course, it’s for smores.